Colombia is getting a new incubator called Socialatom Ventures, startup mentor and entrepreneur Alan Colmenares announced on his blog, Tropical Gringo. It will be one of the three ‘consolidation’ incubators to be supported by the Colombian government, he adds. As detailed in a press release, this support is actually part of Colombia’s Vive Digital initiative, itself promoted by Apps.co. As you may know, it was designed by Colombia’s Ministry of ICT (MinTIC) to promote digital entrepreneurship in the country. Public incentives aside, the launch is the result of a partnership between Colmenares’ company, Lima Interactive, Ltda, and Socialatom Group, which was co-founded by Andres Barreto of Onswipe and Grooveshark fame. Socialatom Ventures also teamed up with Argentine accelerator NXTP Labs, which is a member of the Global Accelerator Network (see our previous post). As a result of the alliance, it will be able to invest $25k in the 5 to 10 teams it plans to incubate during 14 weeks each. “We are very excited about this project and contributing to Colombia’s entrepreneurial ecosystem through it. This is part of our mission to accompany Latin American startups to grow and endure over time. We have had this goal from the start, and we are now carrying out extensive work with 55 companies and various entrepreneurs from more than 10 different countries,” said NXTP Labs’ co-founder and director Marta Cruz. In addition to seed capital, Socialatom Ventures will also offer its teams a shared office space in Bogotá. It is worth noting that the selection process is about to start, and will be open to applications from all over Colombia, or even from other countries. Your product or prototype should have (at least some) users. Colmenares will serve as the Program Director, while confirmed mentors include Bogotaconf’s founder Juan Pablo Buritica, Ruby on Rails expert Sebastian Delmont, PR consultant Karen Acosta, Pulso Social’s chief editor Maca Lara Dillon and NXTP Labs’ managing team. The teams “will also have the opportunity to travel to the United States through the program, where they will meet with mentors, entrepreneurs and investors in San Francisco, Boston and New York. Through the Socialatom Ventures/NXTP Labs alliance, a select group of enterprises will join startups from Argentina, Chile and Brazil to participate in a demo day to be held in San Francisco,” its promoters say. As you may remember, Colmenares was one of the speakers who participated in the first edition of Wayra Week Colombia when Telefónica started to roll out its accelerator network in Latin America. Besides Wayra, he is also a frequent mentor for Endeavor and multiple startups, and was also responsible for bringing the Founder Institute to the country. While he acknowledges “there may be a little bit of overlap” between Socialatom Ventures and Wayra, he points out that Colombia can definitely do with more initiatives of this kind. As a matter of fact, he tells us that will also keep on collaborating with the Founder Institute, although a new person will now take the lead of the initiative. 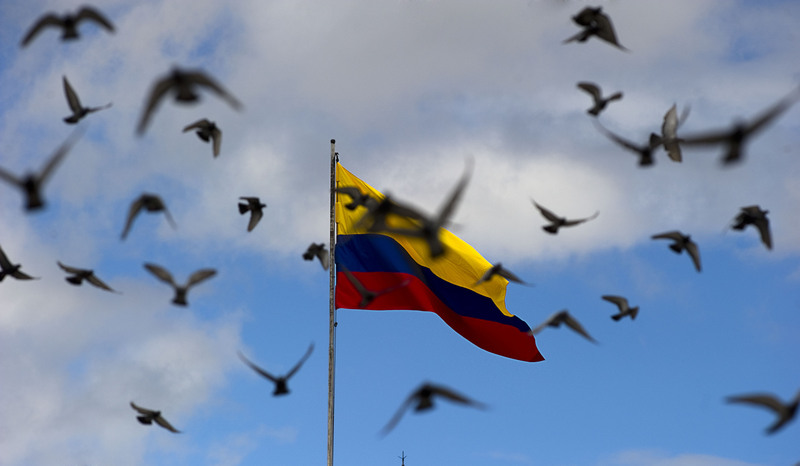 “This is all good for the startup ecosystem in Colombia,” Colmenares explains on his blog. “As I’ve written previously, when compared to Argentina and Brazil and even Chile and Mexico, Colombia has a long way to go in terms of generating the amount and quality of scalable and fundable startups.” In other words, the timing seems right for new accelerators to help Colombia boost its tech scene.